Helping bring about this change is the NSW Government’s $500 million commitment to kick-start the historic CBD. The old railway having been removed, “town” – as the locals call the city centre – is now totally integrated with its harbour, with a transport interchange between the heavy and light rail at Wickham, just two kilometres west. Visitors coming from further afield can fly into Newcastle Airport, which has international capabilities, meaning overseas flights are on the cards in the near future. Obviously being on the coast, ships service the region too, with a multi-million dollar cruise terminal set to open on the harbour in 2018. Tasked with heading up the Revitalising Newcastle project, Michael Cassel believes people who haven’t visited the city recently are in for a shock. “Those that have an image of Newcastle would have a view of an old steel town, and I think what they’ll see will blow them away,” Michael says. As far as East End fits in to the broader picture, Michael says the development is “a critical component”. Cities are about people. Not people just coming in to go to work and then going home. Cities are about people actually living in the city centre. The city of Newcastle lies some 150 kilometres north of Sydney – under two hours’ drive on the M1 – lying on the coast, east of the Hunter Valley. 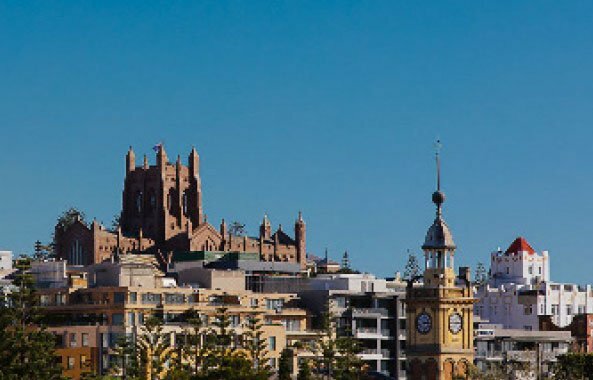 East End is right in the centre of the city, within a stone’s throw of the harbour that has seen the city become such an integral part of the NSW economy. The jewel of a $500 million project to revitalise the former CBD. East End takes advantage of being surrounded by water, while enjoying total ease of access. With a brand new light rail system servicing the area from 2019, the city is regaining its status as a dynamic retail destination, which will further strengthen the long-established economic advantage provided by the Port of Newcastle. While all roads may have once led to Rome, in Newcastle they end up at the beach. Or, if you don’t feel like driving, just take a short stroll along the harbour foreshore and onto Shortland Esplanade – you’ll pass Horseshoe, Nobbys and Newcastle beaches, as well as surfing hotspot the Cowrie Hole, and the landmark Ocean Baths. Obviously it’s no secret that the region’s rich coal seams helped shape the city’s fortunes, largely providing the wealth that built both the cute miner’s cottages and heritage-listed gems which still line the streets today. And long at the heart of life in Newcastle was Hunter Street. The region’s commercial and cultural epicentre, had an established reputation as the best place to shop, and hummed after dusk thanks to a lively entertainment precinct. An economic downturn in the 1990s, saw this once thriving thoroughfare suffer a bit of a slump, but Hunter Street wasn’t down for long. Marcus Westbury’s ‘Renew’ campaign, which began in Newcastle, helped to bring back new kinds of businesses seeing the street reinvent itself as the birthplace of the city’s latest cultural revolution. Now, with East End, Hunter Street is ready to once again take pride of place in an already-proud city. 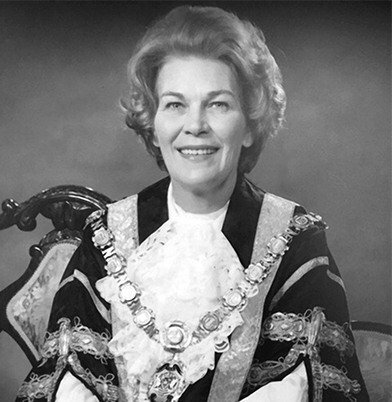 Helen Cummings is Newcastle royalty, being the daughter of the city and Australia’s first female Lord Mayor, Joy Cummings, and mother of Hollywood star Sarah Wynter. But while Helen once described herself as the “daughter of a famous mother and mother of a famous author”, she has more than made her own mark, as an author, domestic violence advocate and 2014 Newcastle Woman of the Year. 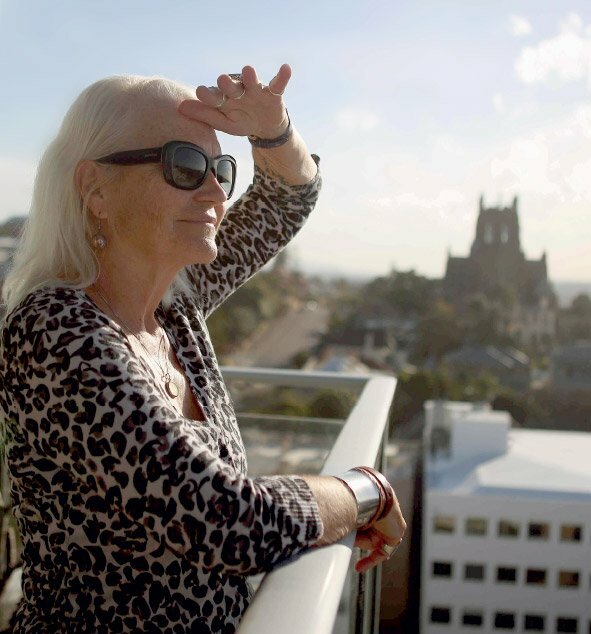 One of Newcastle’s proudest citizens, Helen is excited about the city’s future, but has fond memories of Hunter Street from its golden years. As for what her famous mum would make of the city, Helen believes Joy would be “proud”. We invite you to take this unique chance to bring your own story to our urban village, and help shape Newcastle’s narrative for tomorrow.